I really like your multi combo. Skaen is hard from a RP perspective but you made it work. my only little nitpick is the sustainability of damage through per encounter spells, because in say in the ingame Ukaizo fight is multi stage as you will have to kill 3 big targets Ukaizo and the 2 Titans - it is a long fight unless you use invisibility potion trick to reset. And any other encounters the game that are designed to be lengthy - there are not many that are in game at the moment though. Fire Dragon is respectably hard with deadly deadfire mod and may be immune to fire? At lower level before you get lol priest storm something like the lighthouse on Hosango may be difficult too unless you equip defensive things or so if you can kill stuff fast with barring death's door on, or just level up past 16 to make take on that fight when you have salvation of time. Well, for magma dragon u can get an injury, equip rekvus scorched cloak, turn on auto attack AI and then go watch TV for a while and win. For lighthouse u just simply solve it peacefully. 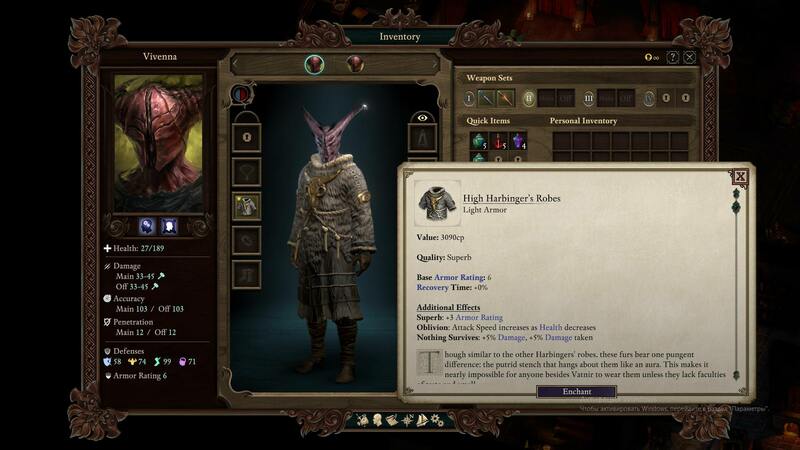 You know that in Deadfire a Harbinger is actually a Chanter/Rogue? The Priest of Woedica subclass for priest is really good, maybe better than wael or skaen, but too bad it is only accessible through the console. The build looks really cool. I don't think you can survive level 1-16 without a shield or something that raises your deflection by "a lot", though. I was toying around with the build today and the poor guy got downed more often than my DPS seer (party of 5, level 10, PotD all upscaled). Am I doing something wrong? I have already tried giving him more CON and RES ad the cost of MIG and PER with the console but it's its abysmal deflection that makes it really hard for him to survive. What's your advice for the first levels? Also Blood Frenzy amounts to 121 raw dmg in 27 second with 20 INT at level 10: basically I am committing suicide the moment I click on it. Should I avoid becoming frenzied until I get Barring Death's Door? Voidward and a ring of greater regeneration will help with the frenzy dot. He also says in a post that pre lvl16 he used heavy armour and a shield. Thank you both! I was definitely too optimistic . I'll try the Patinated plate. Wow, that looks incredible awesome. 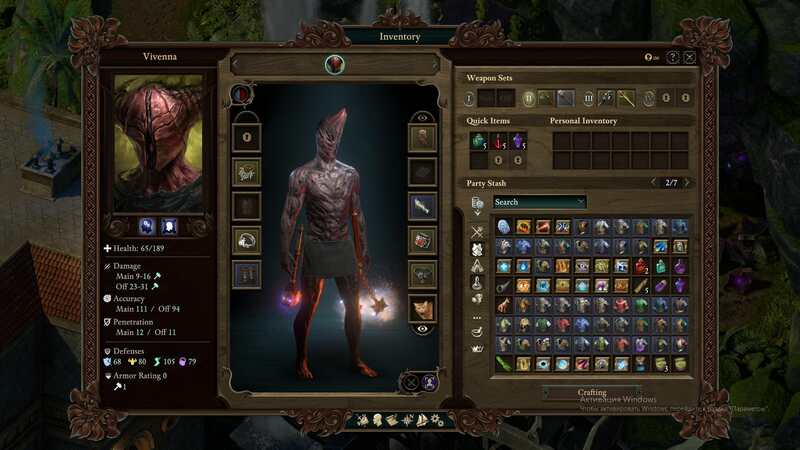 Is that Vatnir's unique robe? Edit: didnt read the description. it is!